The calculator is a cylindrical slide rule with helical scales, the effective scale length of 66 inches significantly improves the accuracy of the calculations. The scales, numbered 414 and 423, and can be used for multiplication and division. 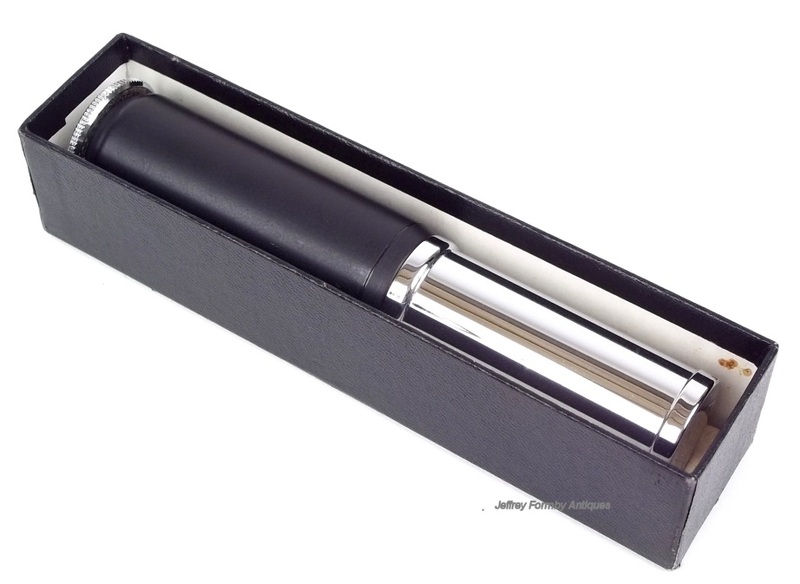 This is a pocket calculator because the cylinder is telescopic, the upper scale sliding down inside the outer scale when not in use. 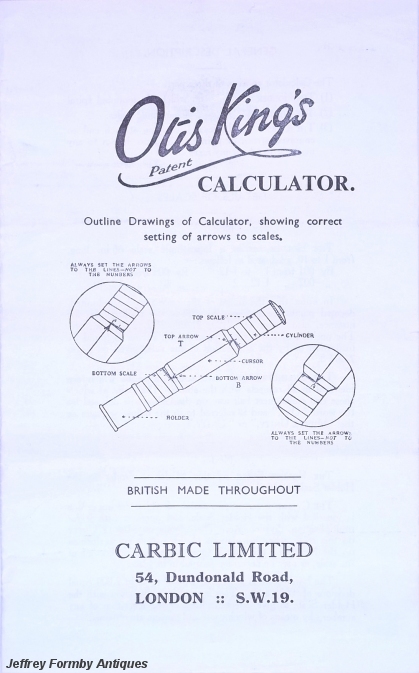 Otis Carter Formby King was born on February 11, 1876 in London and filed the British patent for his calculator in 1921 (patent number 183,723, filed August 1920, accepted August 1922). The American patent (number 1,645,009) was filed in 1923 and accepted in 1927. The calculator was made in England by Carbic Ltd., London from 1921 to about 1972 when production ceased due to the availability of electronic calculators.